NAVIGA is a world wide Organisation dealing with ship model sports. 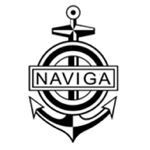 Members of NAVIGA are national federations, not individuals. The objective of NAVIGA is the support and dissemination of shipmodelsport and to build up friendly connections with all people practising this sport excluding sexual, racial, confessional and political discrimination. NAVIGA organises World Championships in all sections every 2 years. If there is interest, Continental Championships are also organized in the year between World Championships. NAVIGA publihes rules for all the classes in the sections to be used in contests. Those publications might be bought by everybody. Usually, members get 1 copy of the new rules free of charge, if they were not published in the NAVIGA lnfo. Those rules are written in one of the official languages of NAVIGA . Every member organisation gets 1 NAVIGA info free of charge every 3 months (or as they get available) to inform all members about important decisions, changes in rules or results of championships. Every 2 years a general assembly meeting takes place. The presidium is elected every 4 years at the general assembly meeting. The section leaders are elected by the members of the section in a section meeting during World Championships of the relevant section. As a NAVIGA member, a national federation has the right to propose for the organization of World Championships. NAVIGA will participate in sponsoring such an event, monitor the event and will help in performing the actual event. Membership is in the sections. There may be as many national federations a member of NAVIGA as they wish, as long as all of them pay the general NAVIGA fee. However, only one national federation can be a member of a single section. Only federations will be accepted as members. In case there is no national federation in a country, also a club may become a member; but never individual persons. Membership of clubs must be accepted by the general assembly. Application for membership shall be sent to the general secretary. The membership will then be provisional until it is confirmed at the next general assembly meeting. The fee consists of the basic fee of € 400.- and a section fee for every attending section of € 100.- (subject of change over the years). The fee for a new member has to be paid for 2 years in advance, the second year no fee is due.